Erika Olbricht has her PhD in English from the University of New Hampshire. Her dissertation focused on seventeenth-century British theatre and dramatic literature by women. She also holds an M.A. in Historic Gardens and Landscape Conservation from the Architectural Association School of Architecture in London. Her work there focused on kitchen gardens, including allotments, and early American gardens. Her interest in historic green space and productive gardens informs her current scholarly work, which includes articles on early modern sericulture and apiculture (silkworms and bees). 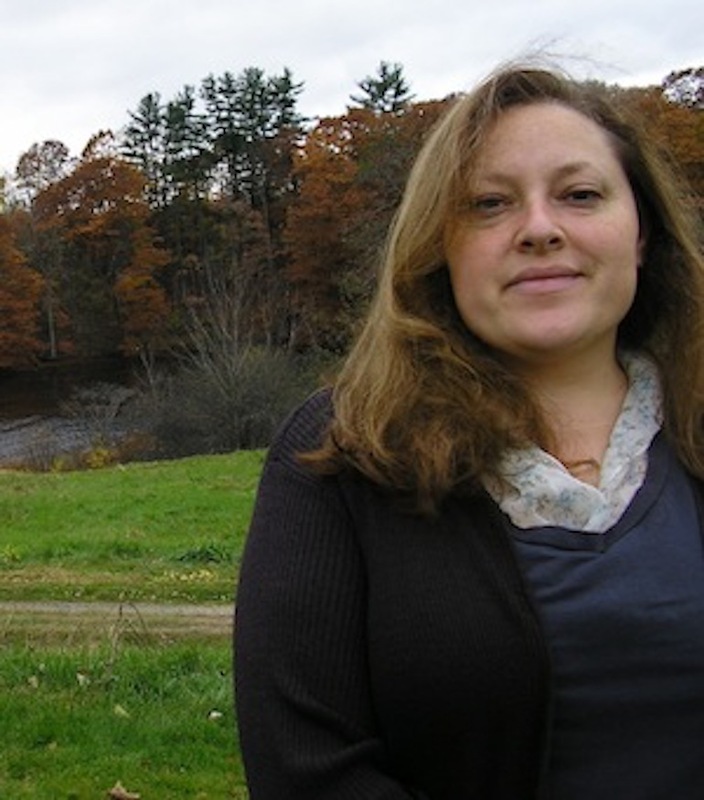 In 2006-7, she held a postdoctoral fellowship at Yale University in Agrarian Studies, where her work focused on sixteenth-century agricultural tithing practices as part of a larger project on early modern British landscape. Currently, she teaches landscape courses in the SAGES curriculum, including courses on urban ecology (FSNA 126), landscape history and conservation (USNA 237), and suburban landscapes (USNA 220). If you have any interest in pursuing a SOURCE research project that treats any aspect of urban and/or historic landscape and ecology, please contact her for ideas and for help working on your proposal.